Class A motorhomes provide the best in luxury travel camping. All amenities are at your fingertips while on the road. Motor Homes are also great for pulling boats or a dinghy as well as a stock car trailer to the Independence Speedway. Call Jaspers RV, your Midwest RV dealer, for quality used campers for sale in Iowa. Class A Diesel Pushers are known as “yachts on land” by many because of their extravagant finishes and rich amenities. They come in lengths up to almost 50 feet! With plenty of pulling power, there is no hill or mountain a pusher can’t tackle. Find a great tow bar for your Class A at Jaspers RV, your Waterloo RV Dealer! For a more compact RV for sale in Iowa, the Class B RV may be the right fit for you. While being fuel friendly, a Class B has many of the same amenities as their larger counterparts. Towing ability and convenient access are just a few advantages. Search our website or visit our Iowa RV Dealership for used options. Class C motorhomes offer the best of both worlds in motorized RVing. 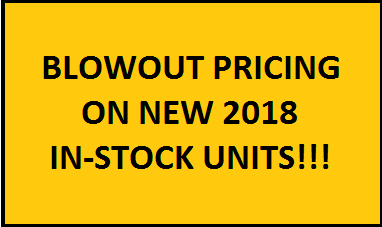 They are available in gas or diesel engine options and many have family oriented floor plans available like bunkhouses and outdoor kitchen models. No fifth wheel hitch or weight distribution hitch is necessary use. Call Jaspers RV in Hazleton, IA. Travel Trailers for sale in Iowa at Jasper’s RV such as Coachmen Catalina and Grey Wolf are the most widely used RV’s today. They are referred to as bumper pull trailers. When planning your next RV Trip, be sure to check us out, your preferred Cedar Rapids, IA RV dealer for brands like SolAire, V-Cross and Cherokee RV. The closest thing to home in the RV industry is a 5th Wheel. They offer the most square footage of living space for any RV. We offer many great new and used fifth wheels for sale in Iowa such as the exciting Forest River Columbus, Sandpiper, and Sandpiper Select. Purchase your next “home on wheels” from Jaspers RV! For all you motorcycle enthusiasts, ATV trail riders, bikers, or hobbyist, a Toy Hauler for sale at Jaspers RV is right for you! Or maybe you just want a large garage area for storing all your RV accessories and gadgets or a huge bunk room for the kids. Either way, Toy Haulers provide the best of all worlds in today’s modern Rving. Truck campers or slide-ins from Forest River RV incorporate multiple outdoor activities into one. With having your camper on the back of a truck, you are able to pull a boat or trailer to enhance your camping experience. 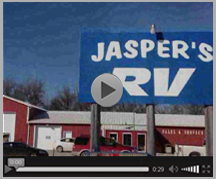 Check out Jaspers RV, your premier Iowa RV Dealer for great Palomino RV options! 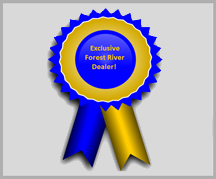 We are proud to be among the top RV dealers in Iowa, carrying the Forest River RV line of products. Be sure, while here on our website or while visiting our Iowa RV Dealership, to look at our luxurious Columbus Fifth Wheels, Sandpiper Fifth Wheels, and Sandpiper Select Fifth Wheels for sale. Or maybe it’s the V-Cross Platinum that you’ve been dreaming of. We also carry two exciting Toy Hauler lines. The sporty Wolf Pack Toy Hauler and the impressive Vengeance Toy Hauler Fifth Wheels and Travel Trailers. 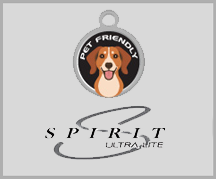 Palomino RV, Solaire, Cherokee RV, Grey Wolf Travel Trailers, and Solaire Ultra are more great products that we are proud to showcase at our dealership. New to the scene are Coachmen Catalina RV Campers and Palomini lightweight travel trailers. The new Palomini is specifically designed for towing with small SUV’s and Minivan’s. Be sure to call us if you can’t find what you’re looking for as we take pride in being the best Iowa RV Dealer and will do whatever we can in assisting you in ordering your Dream RV or provide you with a like product. 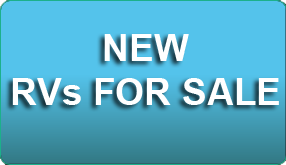 We also have a great selection of used travel trailers for sale, as well as used fifth wheels. If you’re looking for a good used ultra lightweight travel trailer, we have several options, including used hybrid expandables, used pop-ups or fold down for sale in Iowa, and used ultra light travel trailers. Occasionally we have used truck campers, also known as slide-in campers. Make Jaspers RV your exclusive RV Buying Destination. We are located in Hazleton, IA and are proud to be your Waterloo Iowa RV dealer as well as the only Forest River dealer in Cedar Rapids IA! !